The Nevada state flags feature the design of Louis Shellback that won the competition in 1926. The canton design has two sagebrush stems crossing at the bottom forming a semi-circle around a silver star, below the word "Nevada" appears and a yellow scroll bearing "Battle Born" above it, which refers that Nevada was the only state to achieve statehood during the Civil War. Our Nevada Flags showcase your state pride for everyone to admire. Made of two exclusive fabrics of nylon and polyester, our flags make great symbols of form and functionality. 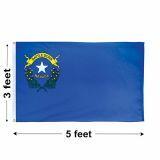 Offered in a variety of sizes, Nevada State Flags from Tuff Flags are 100% made in USA and carry 6 months guarantee on construction. 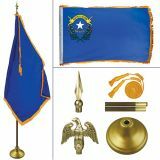 Shop from our complete line of Nevada Flags right away and avail the best prices, quick shipping and much more! 100% customer satisfaction guaranteed! Our Nevada Flags are the best all weather flags that fit the bills of all your flag presentation needs. 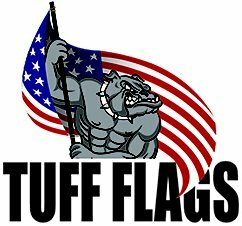 Made of 200 Denier Nylon and 2-Ply Polyester that has the feel of cotton, our flags are designed to look good and last long even in regions with heavy winds. Choose from a range of popular sizes including 3’x5’,4’x6’,5’x8’,6’x10’and 8’x12’. Finished with grommets and headings and reinforced with lock stitching, these Nevada Flags from Tuff Flags feature colorfast Dupont ink, which will retain its color clarity and beauty for a long time. Browse our complete line of Nevada Flags and choose a model that suits your needs. 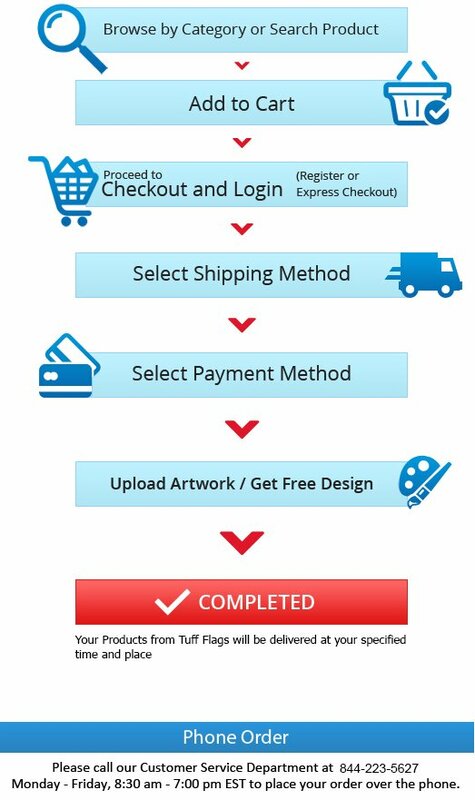 Should you need any tips, call our toll free number (888) 287-3524 or email at customercare@tuffflags.com and leave the rest to us.